When you ask the average person about the hotel industry, they probably don’t think of advanced technologies. This is in spite of the fact that many of them benefit from these technologies. On the other hand, ask an industry insider, and technology may be the first thing they consider. That’s no surprise! There are so many exciting technologies emerging in the hotel and hospitality industry. It’s truly an interesting time to be involved in this niche. Their parents and grandparents may have preferred to engage with humans when conducting a variety of transactions, but millennials and Gen Z prefer self-service. If they are able, they are much happier using technology to get things done. Hotels are certainly catching on to this. Many are now offering remote check-in and check-out options so that guests can bypass the front desk altogether. Some have even implemented solutions that allow guests to order room service from their phones. One of the reasons that hotel guests are able to use the self-service options listed above is that so many hotels are now offering guest apps. These provide customers with a way to stay fully connected with their favorite hotel brand during their stays, and between them. Any hospitality professional knows that creating a satisfactory guest experience is a complicated undertaking. An app can serve as the centerpiece to all of this. Hotels can use apps to reach out to their customers with special offers, and other targeted content. Hotel employees are always on the move. Any one of them could find themselves engaging with a guest at any point in time from a variety of locations. Thanks to SIP-DECT technology, all of these employees remain connected to one another, no matter where they are. Unlike other communications solutions, there is never any danger that a staff member is unreachable because they have traveled out of standard, radio frequency range. It gives hotels the benefits of mobility while maintaining the benefits of VOIP. All of this can lead to faster response times, and the ability to improve the guest experience significantly. Social listening is the process brands engage in when they monitor what is being said about them across a variety of digital channels. For hotels, this is becoming increasingly important. While guests may not air their grievances or express their happiness to hotel staff directly, they will certainly say it elsewhere. This is especially true if their experience was particularly good or bad. Customer review sites and social media are full of people praising or denigrating hotels. By employing social listening tools, hotels can find out sooner than later where they stand. They can track consumer sentiment trends, learn more about guest’s wants and needs, even get ahead of issues by engaging in conversations when and where it makes sense to do so. Perhaps most importantly, hotels that use social listening may benefit from a more honest perspective than they get by simply listening to the feedback they get through their earned channels. IFTTT – While this is not a tool that was designed for social listening, it can certainly be used for that purpose. Users can configure the tool to send an email each time their brand is mentioned on the RSS feed that they choose. Hootsuite – Gives users the ability to monitor social media for mentions of their brand name with real time results. Mention – This tool allows users to monitor not only the conversations about them, but their competitors as well. This is a great tool for seeing how you stack up when compared to your competitors when it comes to social conversations. Social listening may be the best tool for hotel brands to use to adjust their approach in order to best please their target customers. These changes can impact the guest experience, and beyond. Social listening can lead to insights on customer sentiments regarding a hotel’s website and social media presence. One particular area of concern is social media content. If that’s not serving the needs of the target audience, people will speak up and say so. If that’s the case, hotel marketing staff may need to up their game by making use of content tools and resources for creating and managing social content such as Canva. The in-room experience can impact a guest’s impression of a hotel more than any other factor. After all, not every paying guest will use the pool, room service, conference, rooms, or other amenities. Every one of them will use their rooms. In fact, in room features are so important that they dominate the business technology innovations that business travelers want. Travelers want more USB ports and outlets, more in room chargers for their devices, access to streaming services, and in-room Voip. Then there are the TVs themselves. 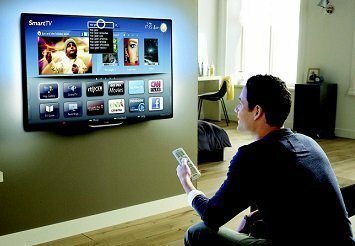 As TV prices have decreased over the years, it’s reasonable to assume that the average guest has a fairly decent tv at home that allows them to watch all of the channels they want. To provide an impressive experience in this area, many hotels are choosing to upgrade this along with other in room amenities. Guests want more than just a cubicle style desk and printer in a corner of the lobby. They want fully connected lounges where they can escape the isolation of their rooms, but still get work done. These new tech forward lunges give guests a comfortable space to access wi-fi and other amenities so that they can work, or simply relax and surf the internet. Many guests use technology lounges after they check out to check in with their airlines, and print their boarding passes. These are also the ideal last minute stop to pick up information about local attractions, before going out to see the sights. Business travelers have increasingly high expectation for hotel meeting spaces as well. They need more than whiteboards. Now they require the ability to hold video conferencing sessions, and conduct multimedia presentations, often to a distributed audience. Hotels are now tasked with meeting the challenge of guest safety and security on multiple levels. They are using technology to meet that challenge. Many hotels are updating their security systems, and the training that goes with them. 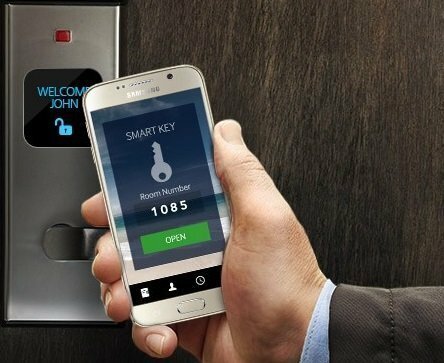 When it comes to guest security and privacy, the best hotels are constantly taking action to assure that they can accept payments and communicate with guests securely. Part of these efforts involve ensuring that guests who access the internet are able to do so securely. This is leading to increased demands on hotel networks and servers. This load is in addition to the additional resources that are needed to accommodate the increase in online traffic that hotel guests are creating. Hotels spend a significant amount of money on energy costs. Fortunately, there are plenty of opportunities to use technology to lower these costs. Those that are successful in monitoring these costs, and bringing energy use under control will realize some clear financial benefits. A majority of hotels have or are planning to implement high tech, centralized energy management systems. They’re also upgrading to LED lighting as another means to save energy. High Hotels which owns and operates a number of hotel properties in the Mid-Atlantic region, including Marriott, Hilton, and Hampton Inn branded hotels recently opened a hotel that is 100% solar powered. There’s another benefit to these efforts. In addition to saving money, hotels that show they are concerned with environmental issues may find that they are more appealing to millennial customers. It’s been shown that millennials prefer to do business with companies that care about the environment. 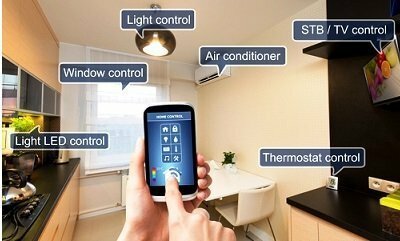 Just like people are using their mobile phones to control their home environments, thanks to IOT, they are now able use the same technology in their hotel rooms. Brands like Hilton and Marriott are now putting a lot of control in the hands of their guests through their cell phones. They’ll be able to control room temperature, gain access through digital room keys, control their television sets, and more. It seems likely that voice technology will be a part of these developments in the near future, and in some cases the present. In fact, Amazon has released Alexa for Hospitality, an alternative for hotels who have installed the Amazon Echo in their rooms. To ensure guest privacy, the interactions between guests and the Echo are deleted daily. They also cannot be accessed by hotel staff. Guests often need help finding their way around large resort properties. Until recently, hotels relied on a combination of signage, direct customer contact, even paper maps to provide that assistance. Thanks to wayfinding apps and beacon technology, guests can get the help they need right from their phones. Even better, these technologies can do much more than offer directions. They can serve up information and opportunities to guests that are most relevant, based on that guest’s location. This is similar to the technology used in grocery stores. There beacons are used in combination with an app to determine where the customer is, and then curate information on special offers. Imagine a guest walking by a resort golf course, then receiving a message through the hotel’s app that they still have time for a round of golf before closing time. That might be followed with an offer for free golf cart rental. The smartest hotel operators know that technology has a major role to play in creating the best guest experiences. They use technology to lower costs, increase safety, and to ensure that the guest’s stay is as close to perfect as possible. James Scott is a professional writer and content contributor at Essay Supply. He is passionate about innovative writing and marketing that melts the ice of the customer’s heart. When he is not involved in career-related tasks, he follows his other many interests, including astronomy, psychology, and cinema. Feel free to contact him via LinkedIn or Twitter.